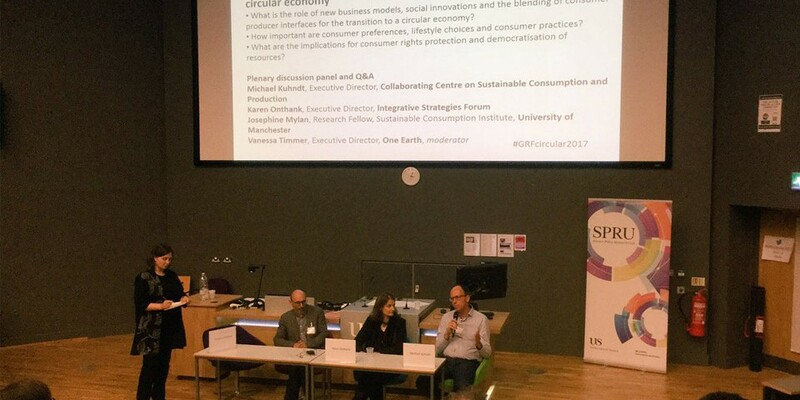 Vaagdhara participated in an international conference on “Sustainable Lifestyles, Livelihoods and the Circular Economy” between June 27- 29, 2017 at the Institute of Development Studies (IDS), Sussex, Brighton, U.K. This highly recognized conference was organized by Global Research Forum of Sustainable Production and Consumption, IDS and SPRU. It was attended by 150 international delegates from various universities and international NGOs, where VAAGDHARA shared the findings of the research carried out in the district with the support of Linking Agriculture and nutrition in South Asia under guidance of MSSRF, Chennai; IDS Sussex; London School of Health and Tropical Medicine (LSHTM) London. 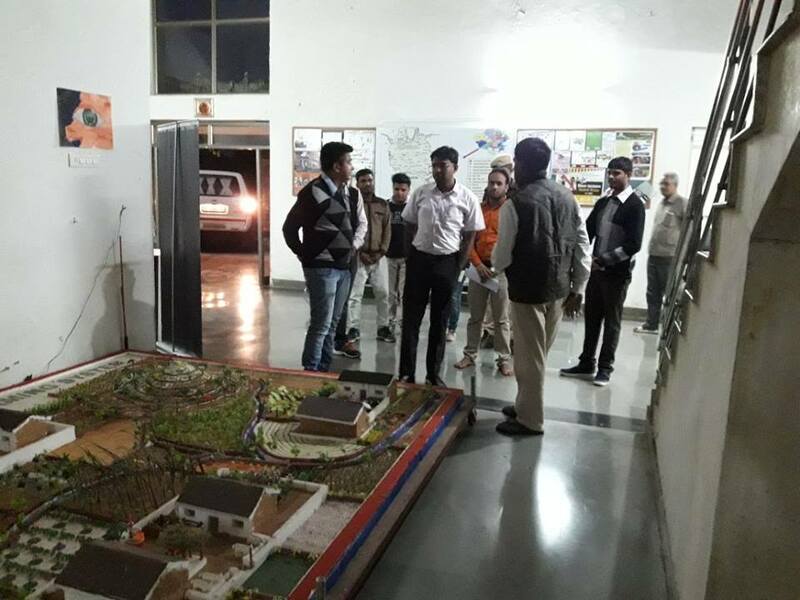 In this conference, Mr. Deepak Sharma, Principal Investigator, Vaagdhara, Banswara presented on the topic - “Successful Revival of Traditions of Circular Lifestyle among Indigenous Rural Communities of Banswara”. This whitepaper articulated by Deepak Sharma and Jayesh Joshi Secretary, Vaagdhara, talks about present issues in the world pertaining to management of wastes in different sectors - urban or rural. The study highlights problems which are not only posing danger to humans but also other forms of life across the globe. These issues are a result of linear model of economic development, which leads to huge dumps of waste, degraded agriculture fields, polluted streams, encrusted lands, to name some. Vaagdhara discussed the issues of sustainable production and consumption with its communities in hilly rural regions of South Rajasthan, India, and the responses indicated that the answer to this problem exists in traditional livelihoods and life style of the rural communities, where components livelihood pattern followed principles of Circular Lifestyle. 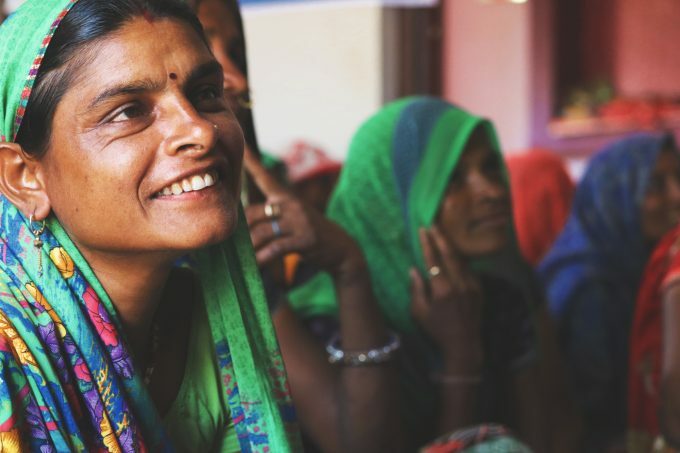 Series of consultations brought out that endogenous community in the south Rajasthan were following a food system which falls within the frame of Circular Lifestyle. But the question was how to revive it or instill it back into the lifestyle of people living in this region. To get into the details, Vaagdhara researched on “whether traditional farming system or livelihood pattern of endogenous families in Banswara region was following the principals of Circular Lifestyle?” which serves as an important base to the larger study on the revival of nutrition sensitive farming system. 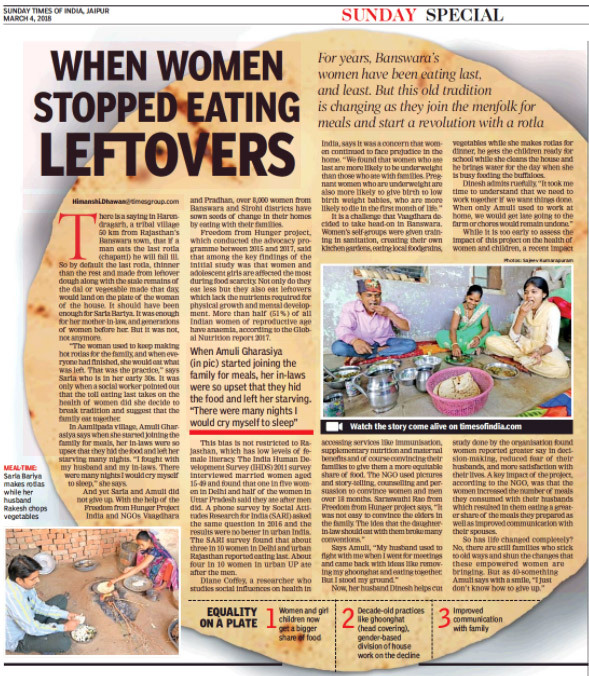 The overall study carried on it suggests that besides socio-economic factors, food insecurity is also caused by ignorance of traditional farming system, which was quite in tune with principles of Circular Lifestyle. The motivating factor for revival of sustainable consumption and production with small and marginal farmers lies in low external input and therefore it was comparatively more acceptable to endogenous community, may not be that attractive to larger farmers. This research concludes that PLA-NSFS is a basic framework which functions on the principals of recycling of nutrient and energy. It can be utilized by stakeholders working with communities elsewhere also, with little modifications to fit with local agro-climatic, cultural, political and socio-economic conditions. These findings may be beneficial in guiding intervention of non-governmental and other organizations for effective assistance to most vulnerable populations in adopting Circular Lifestyle for improving nutrition and health outcomes. Participatory Learning and Action-PLA tools focusing on nutritional outcomes can help in bringing paradigm shift in agriculture dilemma farmers are facing today.